Misaligned teeth can cause other problems such as swollen, red gums or and bad breath. Yuck! When you’re teeth are too crowded or too spaced, the bacteria can build up and start getting under your gum line causing periodontal disease. Once you have periodontal disease, you must visit your hygienist more regularly to maintain your disease. Home care is no longer sufficient, and professional cleanings are required. Malocclusion, or bite alignment problems, can also cause TMJ, headaches, bruxism (worn teeth), and gum recession. Invisalign treatment can quickly and easily bring your bite into the proper alignment so you can avoid these painful, unnecessary conditions. The longer you wait the more damage that is done. Lastly, straight teeth simply look better! If you can have beautiful, healthy, straight teeth in as little as 6-12 months why would you wait? Improve your smile today. 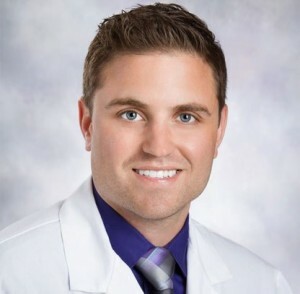 Call (714) 793-0686 for your FREE Consultation with Dr. Jeremy Jorgenson. Take advantage of our Special Invisalign Offer ending 4/30/16. 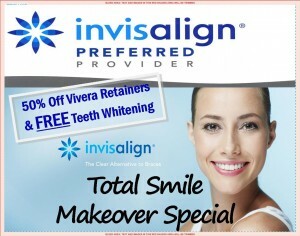 Take 50% Off Vivera Retainers (Regular $1200) and FREE Epic Laser Teeth Whitening to complete your Total Smile Makeover! The Team at Advanced Dental Care can’t wait to meet you! We are available 24/7 by phone and email for your comfort and care. Centrally located to all of Orange County at 3033 Bristol St. Ste. AA, Costa Mesa, CA 92626. Call (714) 793-0686 to make an appointment now or visit us online at www.mycostamesadentist.com!